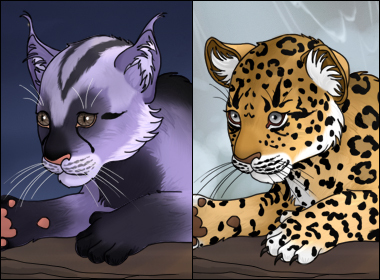 Create cubs for all the main species of big cats, with options for facial expressions, eye, ear, tail shapes and more. Customize the cub's coat by adding spots using a wide color palette and if needed, transparency. Available markings include options for tiger, lion and leopard.